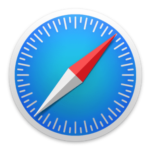 With the announcement of macOS Mojave and iOS 12, Apple has made many changes to its popular browser, Safari. One of these new features is the ability to view favicons on Safari tabs. 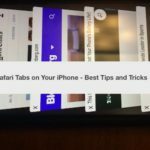 In this short article, we will show you how you can see favicons in safari when using your iPhone, iPad or your MacBook. 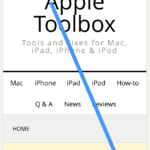 In older Safari versions, when you open your list of bookmarks you will see all the links as text lines. If your bookmark list is large, this makes it a huge list of copy to get through if you need a particular webpage. Sounds horrible, isn’t it? This is where Favicon comes into rescue. “Favicon” is essentially a shortening of the phrase “favorite icon”. The term is used to define a file containing a small icon associated with a particular website in general or a particular webpage if it needs this sort of a special visual support. The icon appears on the website tab next to the page title. Also, the icons are added to the bookmarks list helping to mark out the pages visually. 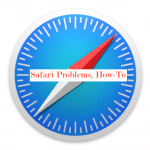 Many users have defaulted to using Chrome and other browsers since Safari never supported Favicons in the past. Given that Safari’s browsing speed, efficiency and security features are superior to many browsers out there, the addition of Favicons is definitely going to make Safari a popular browser. 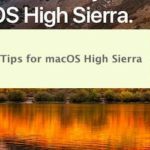 macOS Mojave has added support for helping users see website image icons or favicons on the safari tabs. By default, this feature is switched off but you can easily turn it on by setting it up using Safari preferences. Once you have enabled this setting, you should see the favicons on Safari tabs. This makes it super convenient for tabbed browsing. You can always go back to Safari preferences and disable this setting if you don’t want the favicons to appear during your browsing experience. Starting with iOS 12, Apple has provided support for favicons in tabbed browsing for all your iOS devices. This is not set up by deafault and requires you to make the changes to your Settings in order to use this feature. Here is how you can get Favicons enabled on iOS. Once you have enabled the setting, your tabbed browsing will show you all the favicons on the left corner of the tabs. 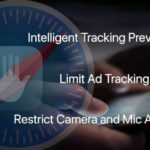 We hope you found this short article useful! iOS 12 and macOS Mojave will be made available to all Apple users in the fall. 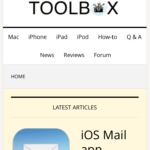 Stay Tuned to AppleToolBox for more tips and tutorials in the coming days!